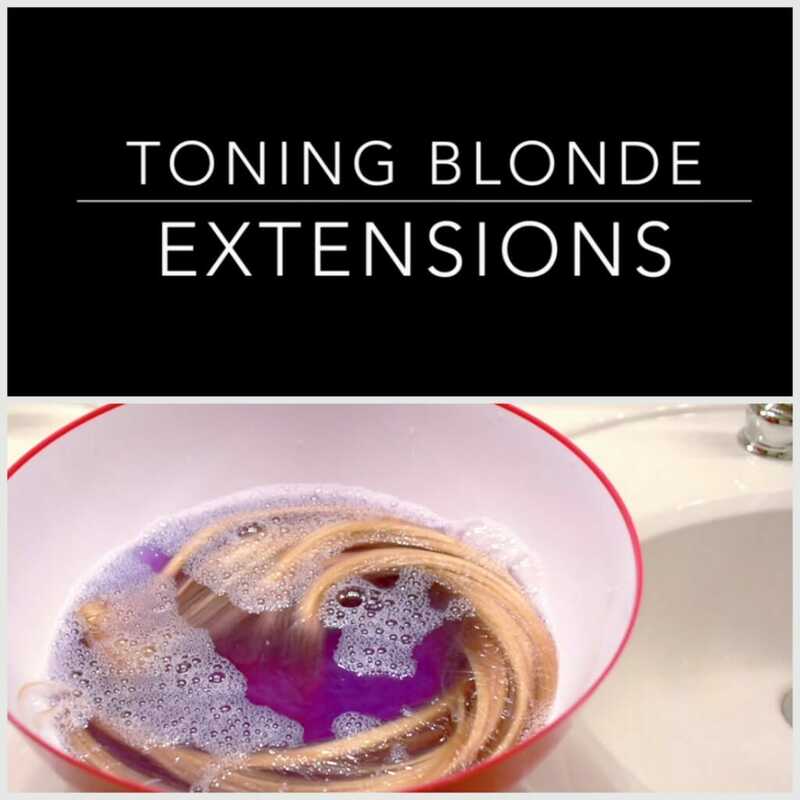 Although we do not recommend lightening your Hidden Crown Hair Extensions we do have clients that have done so successfully! Check out this post to see how to tone Platinum Blonde hair more white. If you have white-blonde hair, you can easily tone your #60 halos with Shimmer Lights. I followed this tutorial where she recommends filling a bowl, bucket or basin with warm water and adding 1/2 teaspoon per 4cups water. Then you make sure you swish the Shimmer Lights around until the blobs dissolve before you place your dry extensions in the water. I left mine in about 15 minutes, rinsed and let them air-dry. You can repeat for more toning, or leave in a long time to see more pastel tones. I also tried directly applying Shimmer Lights to damp extensions and letting them sit on some foil for awhile to process. I think the key is to make sure the purple doesn’t look streaky, by squishing it into the extensions and sudsing it up before letting it sit. This way is MUCH FASTER but can also overtone really quickly and is more likely to leave areas that are more toned than others.